A rare satellite event was organised in Melbourne where the club championship has evolved into the State Championship to cater for the growing clubs in Melbourne. The tournament was open for others to enter from interstate. 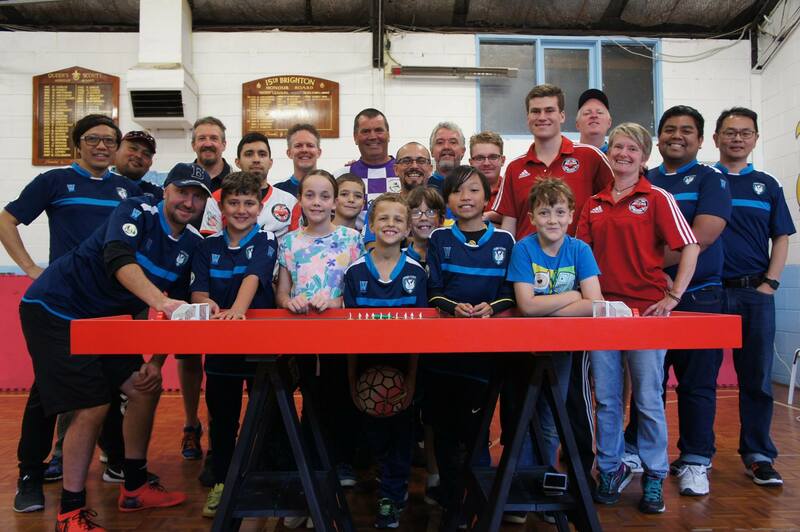 We hosted Giuseppe Tardiota from Brisbane Table Football Club and Hermann Kruse with son, Oliver, from Sydney (Northern Falcons). 14 seniors and 7 juniors took part in their respective categories. In the semi-final Benji dominated Adam with a convincing 6-0 win, in the other game Benny Ng struggled against Hermann, picking up an early 1-0 lead and after missing a few shots to bury the game, Hermann created a few scares going into clear shooting positions but could not get his shots on target, hitting the bar twice. Ultimately Benny was able to hold out in a tense second half, winning 1-0. The grand final between Benny and Benji was equivalent to an arm wrestle as there were minimal shots than expected and excellent blocking from both players made creating shots ever so frustrating. Benny scored in the first half but throughout the game Benji was unable to find an opportunity to peg one back. Benny is now crowned as the Champion of Victoria. Extra games were made sure for those who did not qualify in the group stages as they were placed into a WASPA tournament in the Plate Series. 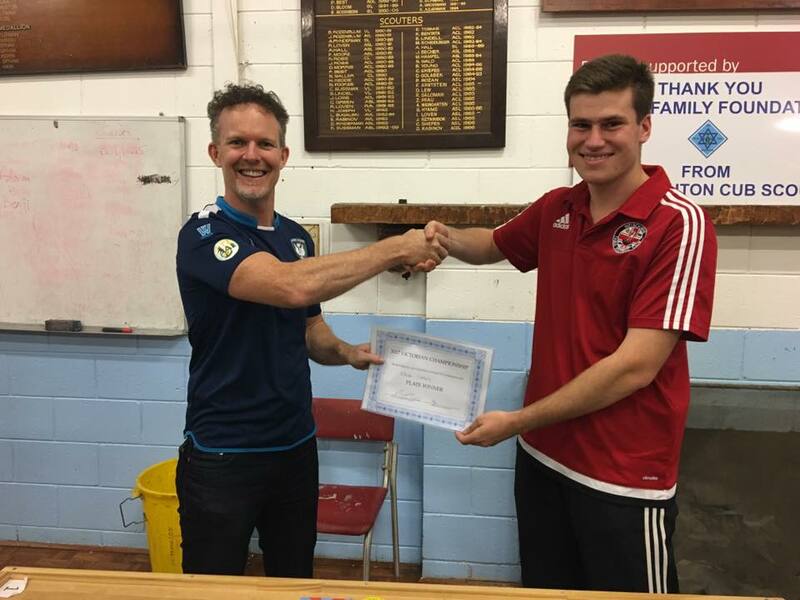 Adrian Connolly became the eventual winner with Western Flickers making a clean sweep of all three awards. In the U19 Category, 7 players took part. 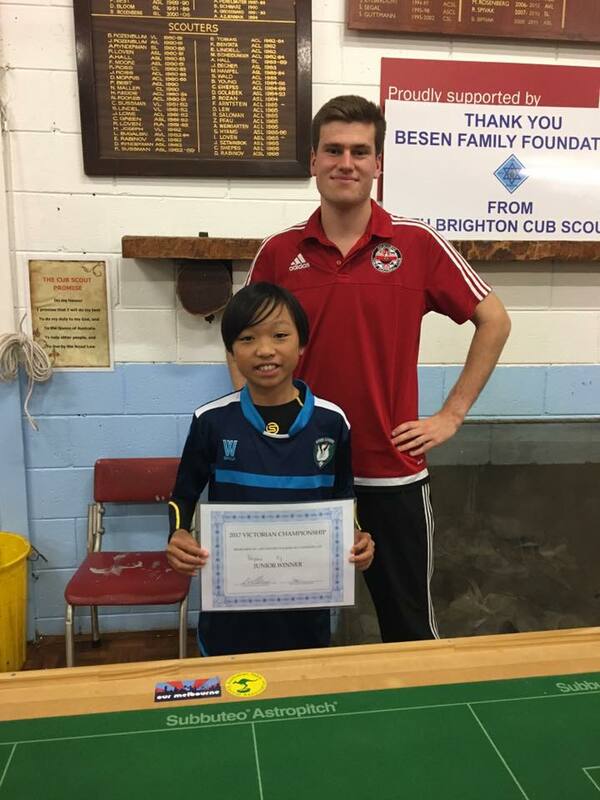 Benjamin Ng progressed to the final after defeating Aidan Deverell in the Semi-final while Northern Falcons’ Oliver Ollnow booked his ticket with a win over Billy Wright. 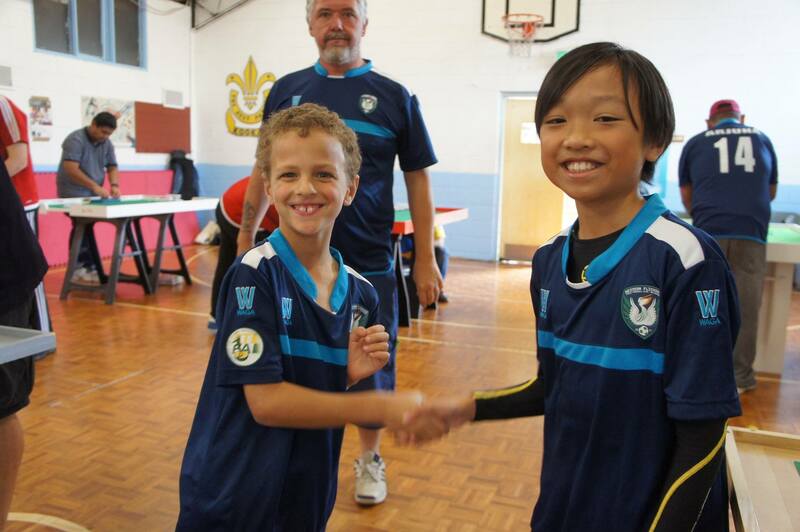 Oliver took the lead in the final, however two second half goals from Benjamin saw the Australian grand Prix Junior champion take the title. Alex Briffa won the Junior Plate competition. 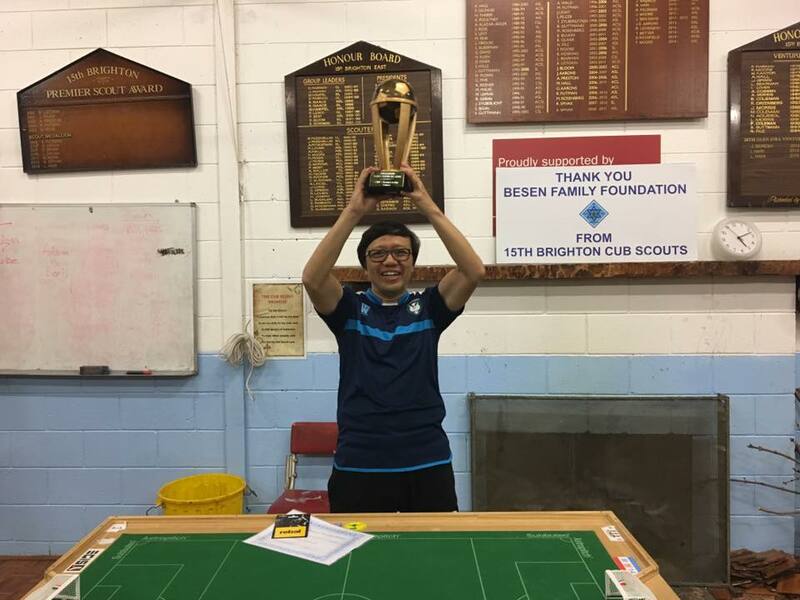 This entry was posted in News, Tournament reports on 14/05/2017 by subbuteomelbourne.